“I just want you to know that you grow the best oranges in the USA, probably the world. An orange just doesn’t get any better than the Heirloom Navel Orange. I buy them by the case at my local Roth’s Market in Silverton, Oregon and have gone through at least three full cases since winter. “We are a small family farm in Washington State that provides summer and winter CSA boxes to a small customer base. In the summertime, we supply the veggies from our farm and work with other family farms in Eastern Washington to supply fruit. Wintertime is always challenging to find fresh produce, though we have farming partners to help.  Ripe to You® has been our supplier of citrus fruit for our winter shares for the last 4 or 5 years and we simply couldn’t imagine winter without them. I learned about Rising C Ranch when I read an article with a title “Why the Citrus You’re Eating Just Doesn’t Taste Good.” As it happened, I had just come back from Northern California, and after eating some oranges at the Farmers Market, I wondered the same thing: why doesn’t citrus taste as good here in New York City? The article laid out several explanations and gave links to different ranches which would ship to NY. I ordered fruit from six of them. Rising C was the first one to ship their fruit – in 3 days. Three ranches didn’t even respond. Of the three that arrived, Rising C was, without question, the best. The fruit sparkled. And it was the ONLY ranch that answered me when I wrote to tell them how much I loved the fruit. Since then, I’ve never been disappointed – until the season ends and I can’t get any more citrus. Rising C introduced me to varieties I have never heard of, including some they don’t grow, telling me where I could get them, and have just “raised the game” for any other citrus grower. I will only buy from other sources when I can’t get theirs. I LIVE for the blood oranges, and for the navels. The season is starting again. I can’t wait.